A WELL-EXECUTED STONE WALKWAY OR PATIO SPACE CAN TRANSFORM THE WAY YOU AND YOUR FAMILY INTERACT WITH AN OUTDOOR SPACE. An experienced eye can design a distinctive system of walkways and patios that reconfigure the navigation and flow of an entire outdoor space. This restructuring process also elevates the curb appeal and value of a property, protecting and enhancing your investment. 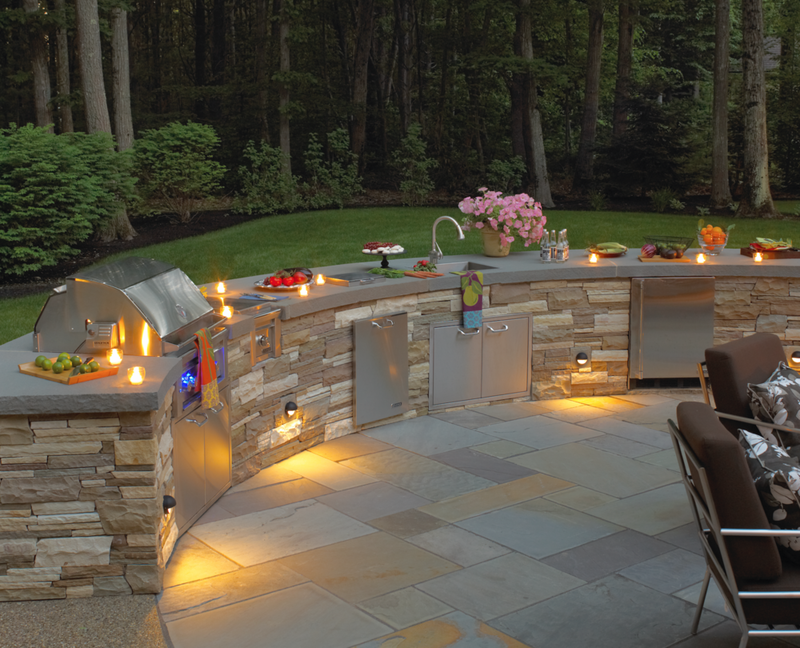 Northern Lights professionals lay out the most dynamic plan for your personalized space, offering multi-level patios, various paver patterns, outdoor fireplaces and kitchens, and even pool decks. The extent of the possibilities are all dependent on the needs and vision of the client. Whether it's a small, detail-focused project or a complete overhaul of an outdoor space, our team develops the right path forward. "Very pleased with the traditional brick chosen for our walkway, the layout came out great and we are happy with the facelift, wonderful improvement over our old concrete walk."